Our client is looking for an experienced individual to join the Analytical Services Group of their independent laboratory in the sunny city of Nelson. Their laboratory offers a broad spectrum of services to help protect the environment and support the sustainable development of New Zealand’s primary industries. Scientists in the laboratory make use of state-of-the-art technology to undertake ground-breaking science, which is undertaken within its substantial testing and research facilities. Projects are undertaken in its primary areas of expertise: aquaculture research, marine and freshwater resource management, food safety and quality, algal technologies, biosecurity, and analytical testing. 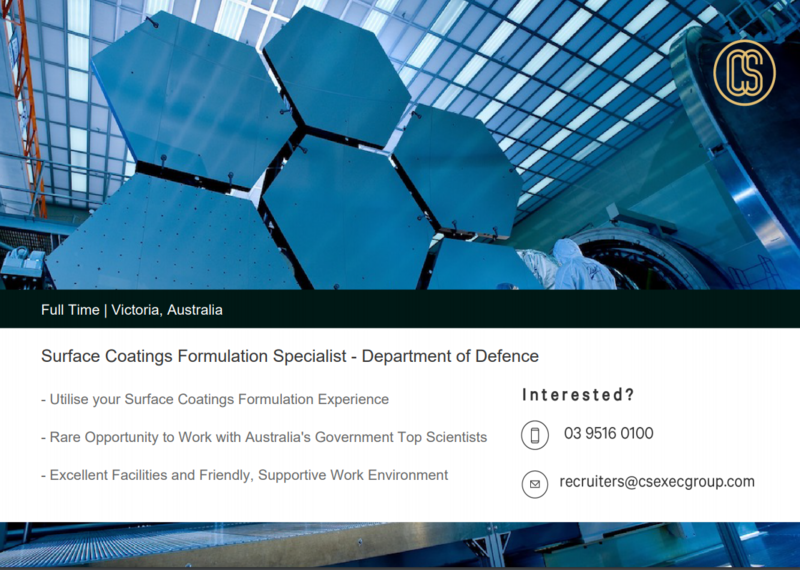 Due to an internal movement, there is an opportunity for a chemist with LC-MS experience to oversee the ongoing maintenance of the group’s suite of mass spectrometry systems and also perform method development activities arising from various clients’ projects. We are looking for a person with initiative, a keen eye for detail, who has excellent time management, multi-tasking and communication skills, strong troubleshooting capabilities, and the necessary technical competency to facilitate development of robust analytical methods. 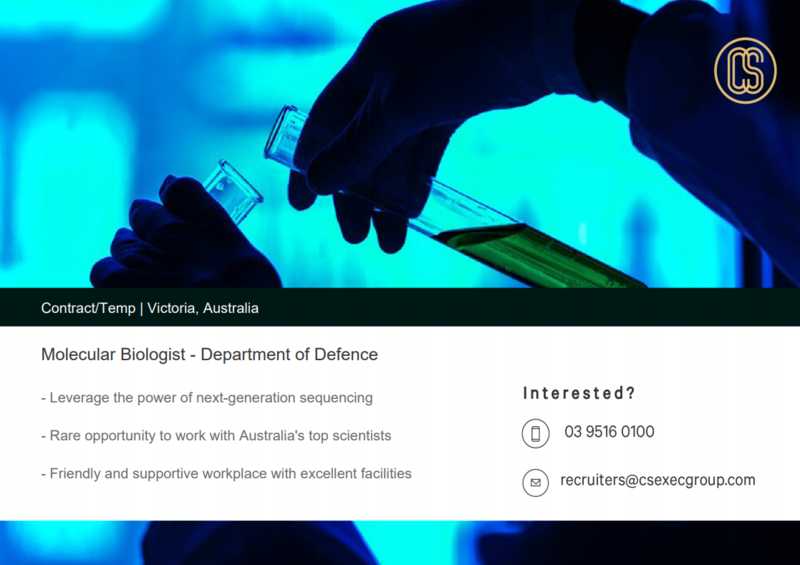 For a confidential discussion about this exciting opportunity to work as part of the team at the largest independent science organisation in New Zealand, please contact Daniel Turner directly on +61 415 573 220—after 5:30 pm AEDT simply send an SMS to arrange for Dan to call you back. Alternatively, during office hours, call our Melbourne office on +61 3 9516 0100 or the toll-free number 0800 444 490. Please include the reference LCMSSPECNZ1118 in communications relating to this role. To apply for this role, please click the ‘Apply Now‘ button then send your current resume and a covering letter to CS Executive Group. CS Executive Group would like to thank you in advance for your time spent applying for this role. Unfortunately, due to the large volume of resumes submitted to us on a daily basis, we are unable to acknowledge each application we receive. Only individuals receiving further consideration for their suitability for shortlisting as candidates will be contacted by our recruitment team. Accordingly, if you are unsuccessful on this occasion, please note your resume will remain on file within our Talent Pool database—thus you may be contacted for other roles in the future. Use Control Key to select more than one. If you are working at the moment, please specify your current salary. Join our weekly newsletter and be the first to know about the latest Job opportunities, career advice, and more. Keep me in the loop.I do not want to hear about new Job Opportunities. / I have done it before. I give permission and understand that CS Executive Group will store my information on their secure servers in Australia.